I’ve read and reread Galway Kinnell’s poetry over the years, and although I bring no scholar’s claim to his work, I can attest to the power of his words. Kinnell’s words show an honest, earthy, man who is open to the world around him. The reason I include this is that Kinnell’s poetry fits both of these definitions. He certainly writes of the earthly, but he can do so in an earthy way. It is hard to walk away from Kinnell’s poetry without the need to wash up, not from disgust, but from the dirt and grime he immerses you in. But it is the dirt and grime of a hard day working on a project — it is a good feeling. Kinnell seems as if he can walk into the earth, and he does something much like this in one of his masterpieces, “The Bear.” He is grounded in this world (earthly), and takes the world for what it is (earthy). In this short, prefatory note, Kinnell explains he took out some “unsalvageable” poems, and then revised others. 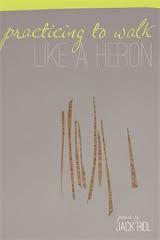 For him, writing is a process, so returning to these poems in 2002 (when this volume was published), he lets the process continue. There is no weeping and moaning over what was or should have been — he makes changes he wants, and moves on. In a way, this reflects his poetry. It is unique mix of the objective and emotional. He can be moved by something in nature, describe it in an objective way, and then move forward from the experience, as opposed to pining to relieve it once again. He does not forget it, indeed he may be defined by it, but he does not get lost in it. What this collection shows is Kinnell bouncing between his New York and Vermont homes, which he did for many years. 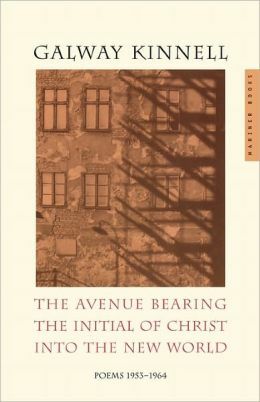 The title poem, “The Avenue Bearing the Initial of Christ Into the New World,” is a 14-part poem which recreates the sights and sounds from the outset. So many visual and auditory signals in that opening verse immediately put you in the context. But the words are simple, the images clear and not overwrought. They are earthy and earthly. Throughout his work, Kinnell allows what he sees to speak for himself. He is a poet who gets out of the way of his poetry. Like the simple prose of Marilynne Robinson, Kinnell knows a simple phrase can carry a great deal of meaning. What he does in the city, works well in the country as well. Not only does Kinnell capture a simple scene, he allows the weight of it to show — this is not a Norman Rockwell painting, but Kinnell is also not so cynical that he cannot find joy. What this poem also shows is Kinnell’s respect for children and their experiences, which does not show up as much in this volume as some of his other work. This poem also shows that Kinnell does not simply present a laundry list of ideas for the reader to interpret. He is willing to interpret and offer his view. It is a strong statement for a then young poet, but one that holds true, although I would argue the man does not need to be old. Gratefulness is not necessarily a time-bound attitude, although it is difficult for some to attain. In the end, Kinnell creates that “earthy” and “earthly” poetry, which shows a world we can recognize. But through his poetry, we see more in it then we realize. It is not a forced deepening of everything we see; it is an openness to what the world has to say. Note: For those not familiar with Kinnell, here is a short excerpt from his bio:Galway Kinnell is the author of ten books of poetry, including The Book of Nightmares, When One Has Lived a Long Time Alone, Imperfect Thirst, and most recently A New Selected Poems and Strong is Your Hold. He also published a novel, Black Light; a selection of interviews, Walking Down the Stairs; and a book for children, as well as translations of works by Yves Bonnefoy, Yvan Goll, Francois Villon and Rainer Maria Rilke.A former MacArthur Fellow and State Poet of Vermont, he has been a Chancellor of The Academy of American Poets. In 1982, his Selected Poems won both the Pulitzer Prize and the National Book Award, and in 2002, he was awarded the Frost Medal by the Poetry Society of America. What an unusual idea. 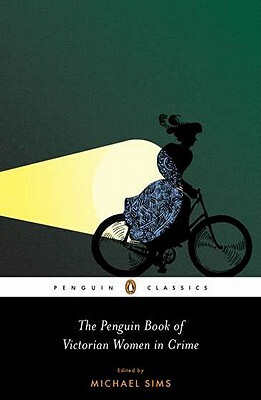 Perhaps in the midst of new Sherlock Holmes interest, Penguin decided to put out this unusual volume entitled, “The Penguin Book of Victorian Women in Crime: Forgotten Cops and Private Eyes From the Time of Sherlock Holmes.” It ended up in my mail after reviewing a collection of Holmes-inspired stories. It is a collection of stories with characters I was not familiar with, by authors, of whom just a few had some name recognition for me. It is more scholarly work than one for the general reader. It is edited, and edited well, by Michael Sims, who has written a range of books, including ones touching on the offbeat works found in this collection. His introductions to the stories set strong contexts for both the stories and the authors. Most of authors are males, but several women represent their own characters in breaking new ground. The range of stories also show the development of the detective story. Some show little real investigative work at all; instead, simple clarity allows a case to unfold. Others show the detectives doing the hard work of examining crime scenes or following a suspect, even to an underground cavern. I say the work is more scholarly than a general read in that Sims includes stories which are justifiably forgotten, except by those wanting to know what was the publishing culture at that time. Mary Wilkin’s “The Long Arm,” has all the elements of a suspenseful plot, but the suspense is mainly missing and we wait patiently while she solves nothing — it is a visiting male detective who does most of the work outside of the story. However, these stories are balance by some excellent entries, including two by Anna Katherine Green. This anthology will be enjoyed those with interests in the detective story, or women in literature, but it is not aimed at the general reader looking for just another good mystery. 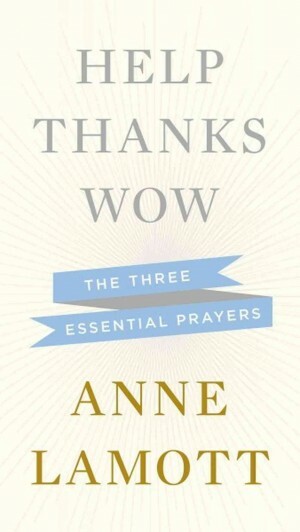 Article first published as Book Review: Help, Thanks, Wow: The Three Essential Prayers by Anne Lamott on Blogcritics. Anne Lamott definitely stretches the boundaries of Christian writing. For that, we can thank her. Yes, she swears, says honest and unkind things (usually about herself), sometimes refers to God as Phil, and even lets slip a longing for her earlier, non-Christian lifestyle. Of the three prayers, her section on “Help” is the strongest. Although a short book, this could even be shortened more as the multiple of examples for one type of prayer can become tiresome. And Lamott always has a tendency to want to show people how cool she is — she tires too hard, since her unique approach to life is clear. But perhaps she has used “Help” more than other prayers, so her words hit the mark with assurance. Lamott appropriately follow up the section on “Help” with the prayer of “Thanks.” More than a prayer, Lamott seeks for us to live a life of gratitude. This has the danger of sliding into banal platitudes, but Lamott refuses to lose that essential, theological language. “Thanks” is not simply what we say to God, but is seen in our actions as well. And it needs, she argues, to be a habit. Lamott, in her usual style, has taken a challenging topic and made it very accessible. The reader will finish feeling good about their prayer life, even if it is nonexistent. And then they will feel like they can pray if they want to. In fact, as Lamott’s simple prayers show, we may be praying without even knowing it.